It’s not every day you host an event on a famous battleship. If you’re Style Fashion Week, coupled with Christine Brenner of the Brenner Foundation, you have a tendency to think big. Christine Brenner created her nonprofit charityThe Brenner Foundation, with one purpose in mind: giving back. The USS Intrepid in New York City was the place to be this September. 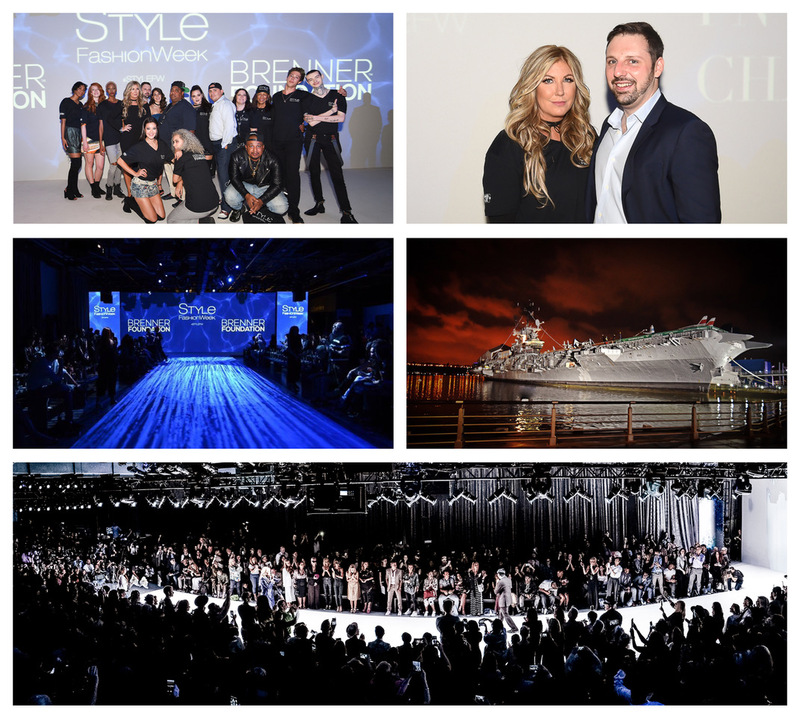 It was the mission of Style Fashion Week to highlight and raise awareness for our veterans of which The Brenner Foundation has made it’s focus. The non profit was launched in June of this year to provide economic support for veterans and to shine a spotlight on the devastating social issues that face homeless veterans. Why the tie in with Style Fashion Week? The organizers felt a calling to use their immense platform to heighten the Brenner campaign for veteran awareness. With over 2.3 billion media impressions and industry professionals in attendance, the 2017 Event was a huge success. The goal was to promote the Brenner Foundation and its mission to motivate, inspire and transform individuals, corporations and organizations by creating awareness to mobilize support to a national community of patriotic individuals for the benefit of our Veterans as well as the homeless. Christine, intimately aware of the issues facing veterans, the Foundation created a “Care Bag Program” that provides a back pack filled with personal hygiene items and snacks for guests who use the facility of a homeless shelter as their home.The program is being implemented in Denver Beacon Middle Schools, CO, to teach kindness by way of action and leadership and to open the conversation with children and community about caring for our Veterans and ending homelessness inside every community. Deeply touched by the plight of veterans who have served and sacrificed for our freedom, Christine launched the Foundation to rally American spirit and support veteran’s needs on their return home. Christine has her own passion for fashion and beauty. She recently helped a veteran’s daughter by making her prom night extra special. “I supplied her with hair styling, makeup, a dress, and a limo ride to prom. It’s little things like this that you can do to give back, it means a lot and makes them feel special,” Brenner said.